Survey Results, the Big Heat Acu Point, Hydration, Sugar Cravings and More! If you haven't had a chance and would like to, please fill out our survey below. 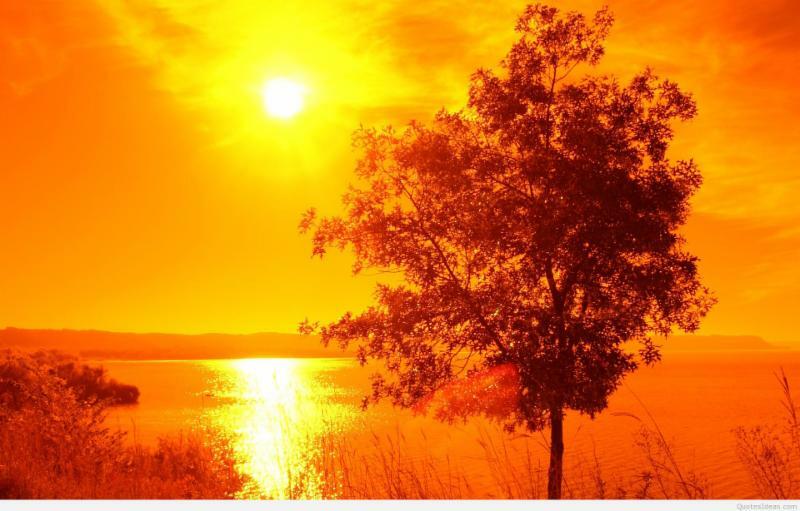 Let Acupuncture Help Beat the Summer Heat! Summer is a time for heat (although New England's atypical weather patterns in the recent years may beg to differ). What does this mean for our bodies? Dryness and over-heating can exacerbate various systems of the body, manifesting in hot, itchy, skin conditions, increased hot flashes, burning or dryness in the digestive tract and pain and inflammation. 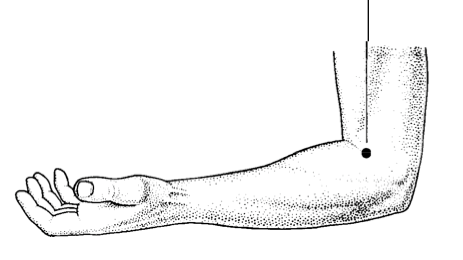 on the radial side of the elbow, which is in line with the base of thumb--and is used in acupuncture and Chinese Medicine as the main point for heat conditions. Large Intestine 11 is an effective point to use any time of year but this summer, keep in mind, if any chronic or acute heat conditions are acting up, or if you just need to cool off in general, this point can be particularly helpful. Give it a try by gently massaging for a few minutes--often times this point is very tender to touch. You are officially doing acupressure! See if it works for you and let us know what you think. It has been roughly four weeks now, since I cut added sugar and sweeteners--of any kind--out of my diet, with the initial goal of doing it for a month. Like any good ice cream addict, I have had only several dessert dreams (they were truly dreamy), but otherwise the transition has not been too difficult. I found several things that have helped make this tolerable: the love and support of others, that help to keep accountability, and this amazing Ayurvedic herb, Gymnema, that I just recently started learning about. I have worked in the herbal supplement industry for over a decade and have tried just about everything. The combination of feeling frustrated and fatigued from my afternoon/evening chocolate obsession; and reading a recent article about Gymnema for sugar cravings, led me to try it out for the the very first time. Talking about dietary recommendations is part of my job, and I always emphasize balance and moderation; however the thought of not having sugar for a month, let alone a day, was mildly anxiety-provoking. Overall, I feel like I have a pretty good diet, but as I mentioned, the daily cravings were really getting to me. I have come to realize that just because I buy fair-trade chocolate, use raw sugar in my coffee and search for non-GMO, organic ice cream whenever possible, I still feel the negative effects of the sugar content. Having to truly take this venture one day at a time, I started with two tablets of Gymnema, daily. What attracted me to this herb was feedback from others and their experience with the liquid herb. By simply dropping it on the tongue, it is found to immediately reduce sugar cravings and/or create distaste when sugar actually enters the mouth. This intrigued me. I went for the tablets--out of convenience-- and they seem to work just fine. I like the tablets by Himalaya--their products are organic, very clean, and backed by clinical research. 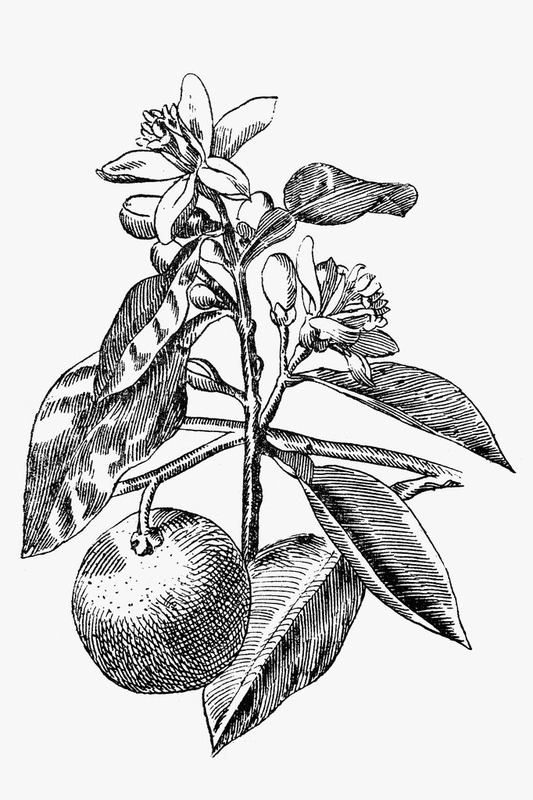 Their Gymnema tablets are compact and easy to swallow, composed of both the root and stem of the plant. While I will never seek out a product that intentionally is meant for decreasing the joy that comes from the taste of ice cream, I was intrigued by the reports of instantaneous reduction in cravings. Instantaneous is not a word used too often in complementary and alternative medicine. Mind you, the experience would likely be different from individual-to-individual, but I figured it was worth a shot. I have to say, it has been helpful! 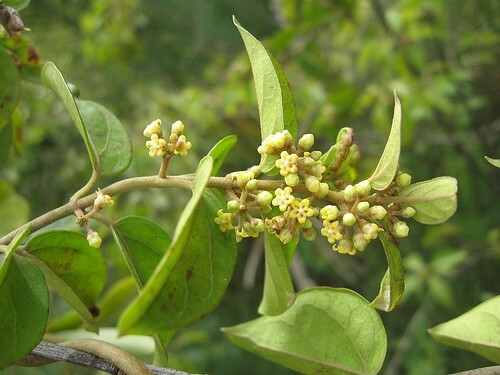 It is a beautiful herb and truly a 'Destroyer of Sugar' (cravings), as ancient translation implies. 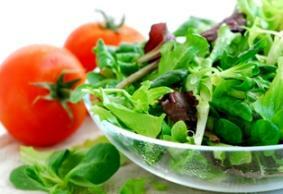 To find out more information, check out the following: WebMD-Gymnema . Why (on earth) should we do this? I am not warding off a future with sugar altogether--and like I mentioned, I don't want to experience distaste with foods that I love, but for now, this herb has given the extra boost that I needed to help me along in this practice of self-restraint. I have had a chance to re-evaluate my relationship with sugar (and food in general), re-charge, practice some discipline and acceptance, and become aware of how many sneaky ways sugar is incorporated into our food. I am feeling so good about it that I am planning to keep at it for another month! If not, maybe I will catch you at Herrell's! (FYI--rated #1 Hot Fudge by Serious Eats). Rachel and I were just talking about how much we are looking forward to enjoying this summer, here in the valley, as a chance to rest up, take advantage of the outdoors and gear up for the fall. I personally am excited, as it is the first time I have lived right in the 'heart of things' for the entire summer. Last year was pretty hectic. I started working at NCA in the beginning of August; there was a lot going on in my life, adjusting to a new environment, and I was basically unaware of what was going on around me in this great community. I felt like I missed out on all of the fun things to do! July and August. Many of you may already know and partake in this, but just in case, here is a friendly reminder to get out there and see some live music this summer! 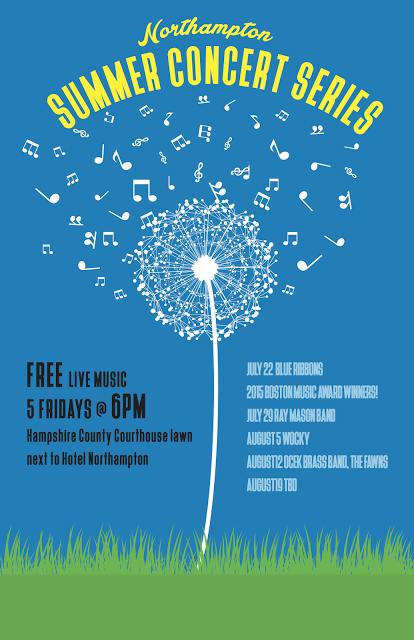 All performances are held on the Hampshire County Courthouse lawn, start at 6:00 PM and are FREE! They will be held on five Friday evenings starting July 22nd-Aug 19th. Hope to see you there! Many of us walk around dehydrated and don't even realize it. Even if you carry around your faithful water bottle everywhere you go, please take a moment to read this... 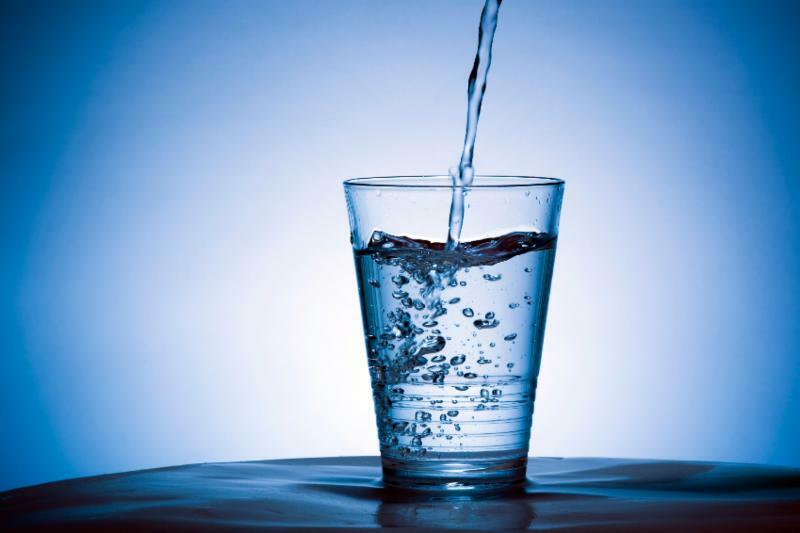 Staying adequately hydrated is one of the easiest and most important things you can do every day to improve your health. If you read that list, this sounds like the miracle cure we've all been waiting for! But it is only this - humble water. Most of us know that hydration is important, and that we SHOULD be drinking more water, but did you realize how vital to our body's proper functioning that it actually is? I drink about 32 ounces of water when I first get up in the morning. I add fresh lemon and a little sea salt, and sometimes MSM. To learn more about this "inner bath" ritual, and many, many more amazing benefits of water, as well as the different types of filtered water out there, please take a listen to one of of my favorite health experts, Shawn Stevenson, and the Model Health Show-Water Masterclass. You can also learn more about MSM (methylsulfonlymethane) here - 7 Benefits of MSM-The Miracle Supplement. This is a great way to kick off the day with good hydration, after your body has been undergoing detoxification processes while you sleep! take your body weight and divide it in half: that is the MINIMUM number of ounces of water to consume each day, more if you exercise, are outside sweating, etc. *fun fact: before I went to acupuncture school, I worked on a couple of organic farms, including the beloved Food Bank Farm, one of the oldest CSAs in the valley, which thrived from 1991 to 2009. I was an intern there the year they started making products to sell using farm ingredients, and this recipe is a version of the very first product, which I developed based on a recipe from May All Be Fed by John Robbins. We called it Rising Sun Tahini Dressing and it was a big hit. This is seriously delicious, and simple. Enjoy! Makes approx. 1 1/2 cups, will keep about a week, refrigerated. It thickens up after being refrigerated, so feel free to add water, lemon juice, oil, as needed, to keep a desired consistency. Place all ingredients in a food processor or blender, and blend until smooth, adjust seasonings and consistency to taste).